Somewhere along the way, we got used to paying companies just to access and use our own money. Businesses may pay something like 1-3 percent just to process a credit card transaction (some charge much, much more) and that cost is often passed on to the customer. Then there are the flat fees that show up on your monthly credit card statement, ATM fees, so-called “maintenance fees” – the list goes on and on and on. Due to the competitive nature of the mobile payment market and the lower overhead involved with automated transactions, it costs less to do business via your smartphone, and that’s a major win for everyone involved. From using mass text messaging to keep in touch with large groups of consumers to harnessing the power of innovative platforms such as Textpedite to manage everything from text-to-join campaigns to automated replies, people have taken to SMS marketing like ducks to water. Mobile marketing is still evolving, though, and one of the next big things seems to be paying by text. By simply sending a text to a mobile payment provider – possibly using a custom short code – consumers can purchase add-on items, such as additional monthly phone data, or okay payments to friends who have requested funds through an app. Smartphone users already spend an impressive 86 percent of their device time on mobile apps, making it rather unsurprising that financially themed apps are increasing in popularity. You can now download apps that help you do everything from managing your bank accounts to sending or requesting money to pay for purchases at a brick-and-mortar establishment using a few quick taps on our smartphone or tablet. It’s intuitive, it’s fun, and it makes tracking your money both integrated and monumentally easier than sorting through your wallet or balancing a checkbook on paper. Are mobile wallets truly safe to use? Compared to traditional currency, the answer is “yes.” While it’s normal to be a little gun-shy when it comes to trusting your hard-earned money to new technology, the most trusted mobile payment apps used high-level encryption that keeps broadcasts private and safe from third-party interference. 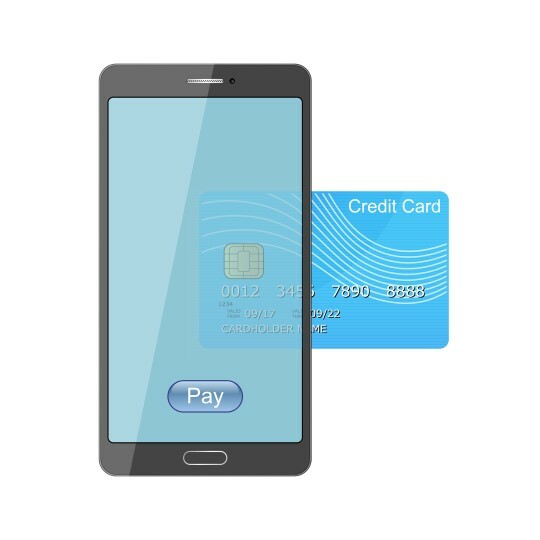 The mobile payment industry is still relatively young and therefore still evolving. There are few “name brand” companies with the same trust factor as, say, banks that have been around for decades and the ease of creating an online business leaves plenty of room for unscrupulous entrepreneurs to establish their own fly-by-night operation that follows self-serving guidelines rather than consumer-friendly ones. Check out reviews of online payment sites and see not only what consumers have to say about their experiences with companies you’re considering doing businesses with but also how those businesses have responded. Everyone makes mistakes; the important thing is how people address those mistakes and learn to improve in the future. There are some 6.8 billion mobile phone subscriptions already in use in the world today, enough for 87 percent of the world’s population to reach out and call someone from wherever they might be. We’re clearly a society that likes technology and convenience, and embracing mobile payments is just another way companies can cater to consumers while also improving their own efficiency. Are you currently accepting mobile payments? And if not… well, what are you waiting for?